they see a construction site with seven different interactive areas and loads of workers and trucks. 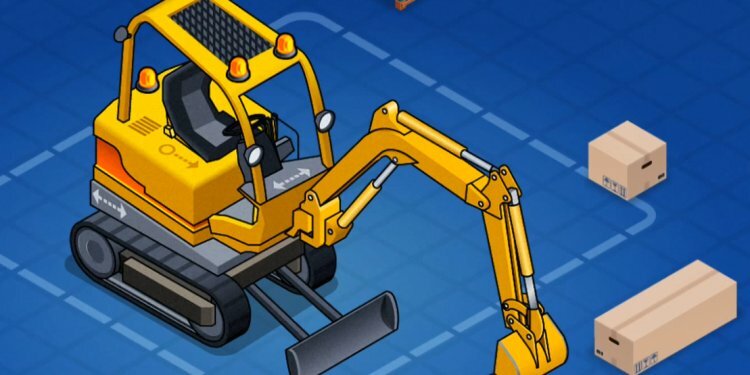 Kids grab their virtual hardhats and get to work building brick walls, steering the digger to repair an underground water pipe, painting buildings, operating a crane to move the roof joints into place, and running the cement mixer to create a floor. They also drive the street sweeper to clean the dirt off of the road and unload a crane truck. In addition to the seven interactive areas, also encourages exploration with over 100 hotspots full of animated surprises. Some are laugh-out-loud funny, such as when the cement worker decides to fall over in the wet cement to make the equivalent of a snow angel. With no text to hinder non-readers, and simple visual prompts, this app makes it easy for kids to get their hands dirty - digitally. This app puts kids in charge as they decide which area of the construction site to visit next. Each area is filled with workers and equipment. Kids learn about the different real jobs being done by tapping and exploring. And they join in to get the jobs done. Your child will help position the joints of a roof using a crane and then see how builders finish a building. They will become painters by choosing the color of the paint and using their fingers to apply that paint to the side of a building.